Pregnancy exercise has many benefits: build stamina for natural birth, stay flexible, increase comfort, grow a strong and healthy baby, and feel great. A prenatal fitness routine has benefits after your baby is born, too, making it easier for you to recover from birth and ease into a gentle postpartum workout. 1 What Exercise Routine Should I Use? 2 How Much Exercise Should I Do? What Exercise Routine Should I Use? You choose the routine that feels right to you. 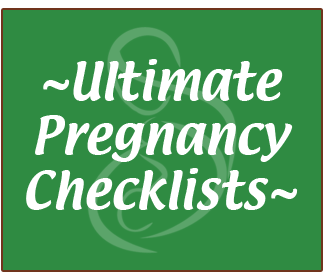 Use the same simple routine throughout your pregnancy, or pick a variety that works for you. I recommend you take a relaxed walk daily. Do prenatal yoga or another gentle stretching routine a couple of times a week. Add in something that really gets your body moving on another day or two. This could be something like swimming, taking a hike, belly dancing, or an energetic pregnancy workout class/DVD. These activities get your blood pumping and help to keep your body fluids circulating. They are ideal because, like yoga, they are relatively gentle on your body. Please consult your midwife, doctor, and your own common sense when doing any kind of exercise during pregnancy. Now is the time to truly listen to your body and do not push yourself too far. Though some women continue to cycle, run, and horseback ride throughout pregnancy, it's generally not the best time to engage in these exercises. Contact sports should be avoided. You can lift weights during pregnancy, but focus on maintaining, not building weight. A safe target is 60% of your pre-pregnancy max weight. Listen to your body and do only lifts you feel very comfortable with. I always recommend that moms in my online birthing classes do the exercise level that feels right to them. Exercise has many benefits, but the biggest one is boosting your sense of well-being. So do what works for you. If you're new to exercise you can build up your routine over a few weeks, gradually getting to the level you want to. I do recommend you walk daily if at all possible, and include gentle stretched/prenatal yoga 2-3x a week. More intense work, such as a hike or belly dancing, can happen 1-2x a week. You can do this more intense exercise more often, just listen to your body and do over-do it. You'll find that as your pregnancy progresses you'll naturally start to slow down and that's just fine. Keep up walking, stretching, and paying attention to your breath. You'll be well-prepared for natural birth! Walking is a basic exercise that almost anyone can do! It can be done just about anywhere and with little preparation. Walking builds stamina gently. The biggest benefits of walking are for your hips and pelvis. Walking naturally opens your pelvis and guides your baby into the optimal position. Aligning your baby and toning your body are both powerful benefits leading towards a smoother, safer, and easier natural birth. You may want to carry a water bottle with you when you go walking. If you're planning to walk on uneven ground, such as a nature trail,take a walking stick along with you. Prenatal yoga helps tone your muscles, increases your flexibility, and helps you master your breathing. Prenatal yoga focuses on stretching and breathing. You observe and learn about your own body as you do your daily routine. It's a great time to practice controlled breathing and movement. Though yoga can simply be exercise, you may enjoy taking part of your routine to pray and focus on the upcoming birth. It gives you a time daily to center yourself, talk with your baby, and pray for your child. Prenatal yoga doesn't guarantee a pain-free labor and birth, but it helps prepare you for natural birth. Your familiarity with your own body is vital. Your breathing comes naturally to you during labor, because you've breathed through your exercises daily or weekly. There are many prenatal yoga books and videos to help you get started with your routine. Personally I use, and highly recommend, Prenatal Yoga and Natural Childbirth – it has a great prenatal yoga routine. It also includes Jeannine's natural birth stories. Swimming is an excellent prenatal exercise. The water supports your body and gives you a delightful, weightless feeling. You can move easily and enjoy yourself completely in the water. If you're just starting to swim, take it slowly and work your way up to longer swims. You work and tone many large muscle groups. Swimming, like prenatal yoga, also helps improve your circulation and reduces fatigue. Swimming may also help to ease your pregnancy aches and pains. Outside of walking and gentle yoga on weekdays, prenatal belly dance is my favorite pregnancy exercise. I love how feminine I feel, I love getting my body moving, and I love connecting with my baby as I dance. Prenatal belly dance gets your blood circulating and provides a wonderful bonding experience for you and your little one. You also learn to spiral your hips, a natural and helpful movement for giving birth smoothly. My favorite bellydance DVD is Dance of the Womb (read my review). You use whatever exercise appeals to you, be it prenatal yoga, walking, a class at your gym, or any other exercise. Keep up a routine throughout pregnancy (remember, you'll naturally scale back as you get close to your due date). Prenatal exercise keeps you in shape, helps you feel great, and prepares you for birth and gives you a head start on postpartum fitness.